Faripour Forouhar grew up in the mountains of Middle Asia, and is drawn to travel to and paint mountains. 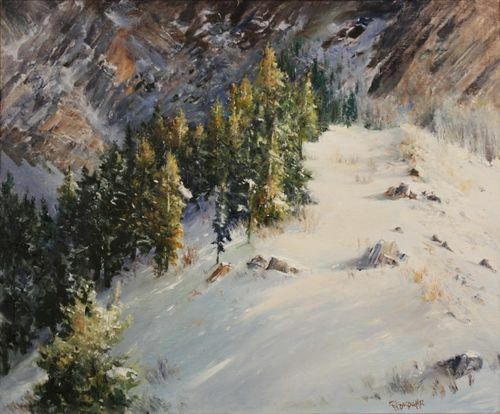 He started as a watercolorist painting plein air, ala prima, and has moved to oil on canvas with a style sensitive to subtle light, atmospheric and spacial effect of the landscape. The resulting effect infuses the abstract composition and reveals the painter’s character, vision and artistic creativity. Faripour studied painting at Tehran University School of Fine Arts during his college years, and later with the late Edgar Whitney from Pratt and The Grand Central Academy of Fine Art in New York city. He is a scholar in the field of art and visual perception and has a deep interest in the evolution of painting throughout history.